The best way to view the shower is lying on the ground, looking straight up, with your naked eyes. 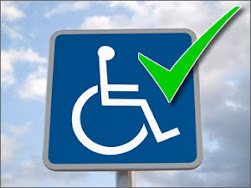 Meteor showers are whole sky phenomena, so optical aids are not called for. You don't even need to know where the "radiant" is, although it helps in understanding meteor showers. Meteor showers occur when the earth crossesthe orbit of an old comet or asteroid. Parts of the comet or asteroid are left behind as it orbits the sun, kind of like a messy family throwing garbage out of their car. When the earth encounters this debris as it orbits the sun, the bits of the comet or orbit fall to earth at great speed and burn up from friction, creating the light of the meteorite (also called a "falling star" or a "shooting star", since that's what they look like). Due to a perspective effect the meteors all appear to originate at a single location in the sky, if you draw a line back along their path. That location is callled the "radiant" the point from which the meteors appear to originate. In the case of the Geminids, they appear to originate near the bright star Castor in the constellation Gemini, hence the name of this shower. But you need not look directly at the radiant to get a good view of the shower. The Geminids originate from a small asteroid, 3200 Phaeton, which is the named asteroid with the closest approach to the sun. 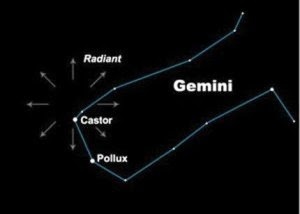 The radiant of the Geminids meteor shower lies near the bright star Castor, one of the Twins in the constellation Gemini. Pollux is the other. 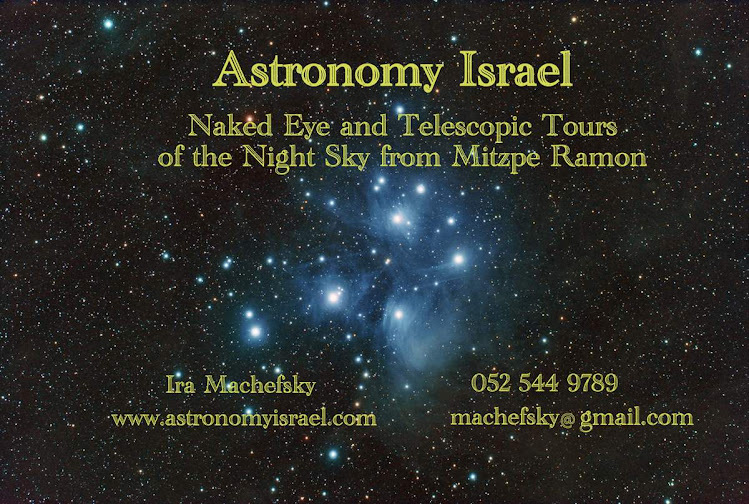 If you are down Mitzpe Ramon way, I will be having a free star party and star tour on Saturday night, starting at 9:30pm. No charge, come one come all. I will be at an observing location behind Mitzpe Ramon on the road to the Alpaca Farm and the Wise Observatory. It's the continuation of the main entrance to town, Ben Gurion Blvd., which begins at the traffic circle entrance to Mitzpe on Route 40. The red "X" marks the spot of the star party on Saturday night, December 13. To find the star party: The location is marked by the red "X" in the above map. Drive up Ben Gurion Blvd., the main street in Mitzpe Ramon. Keep following it into the dark behind town toward the Alpaca Farm and Field School. In about 1 mile there is an intersection for the Alpaca Farm and Field School. Do not turn off. Drive through the intersection. In about 3/4 of a mile you will come to a small forest of pine trees on the left, easy to see in daylight, hard to see at night. You will probably see campfires on the left as there are likely to be people camping there to see the meteor shower. Drive to the end of forest and turn left on the unmarked, unpaved dirt road. 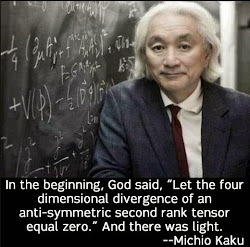 Go around the forest to the far side. You will see me set up there. If you come to a dead end at the observatory you went too far on the paved road. I was under the impression that meteors burn up because of the heat of air being compressed because it cannot get out of the way fast enough and not because of friction.